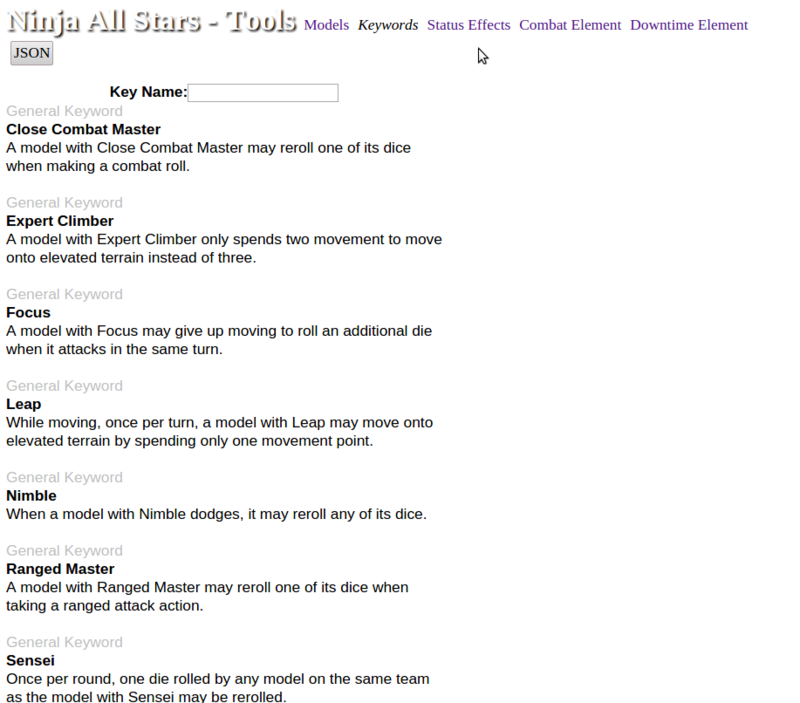 I wrote and posted the initial version of Ninja All Stars Tools. Ninja All Stars is a league style mission based miniatures board game created by Sodapop Miniatures. For now what I made is a reference website, written using a LAMP stack with jQuery, and mfaf for simple templating. The models page presents all of the stats, keywords, and abilities for the models of all of the clans in a tabular format. It allows sorting the columns in ascending or descending order. The keywords page has all of the keywords, that can be chosen within the game listed on one page. 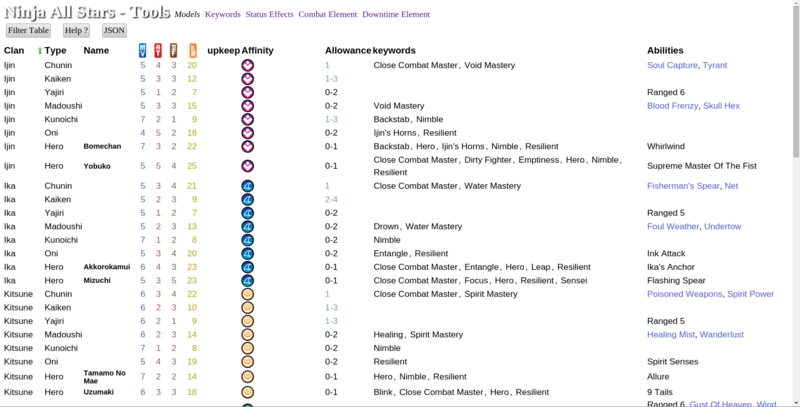 The keywords are broken down by category for general, affinity, and unique. The push for making these pages is that they all output their contents to JSON format. Which makes accessing the information for client side heavy applications easier. The pages are just kind of a friendly wrapper around the JSON aspect, because I already went through the trouble of putting the data into a relational database. I might as well present it in a readable and friendly fashion.